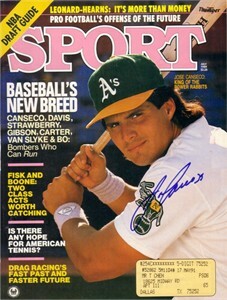 1989 Sport Magazine COVER ONLY autographed nicely in blue marker by former Oakland A's superstar slugger Jose Canseco. 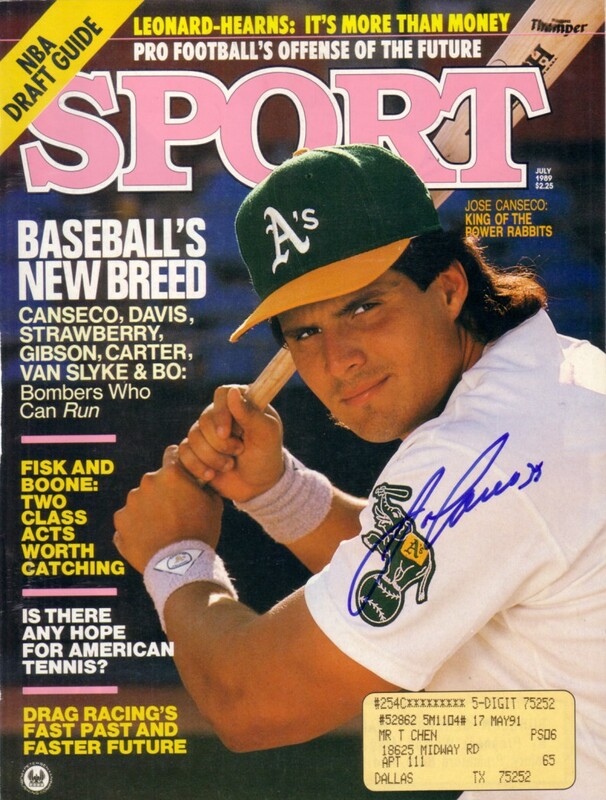 Suitable for framing. With certificate of authenticity from AutographsForSale.com. ONLY ONE AVAILABLE FOR SALE.